You find yourself in Belgium and are looking for something fun? But with a different twist? Then go to a small town in the north, very close to the Dutch border: Poppel! 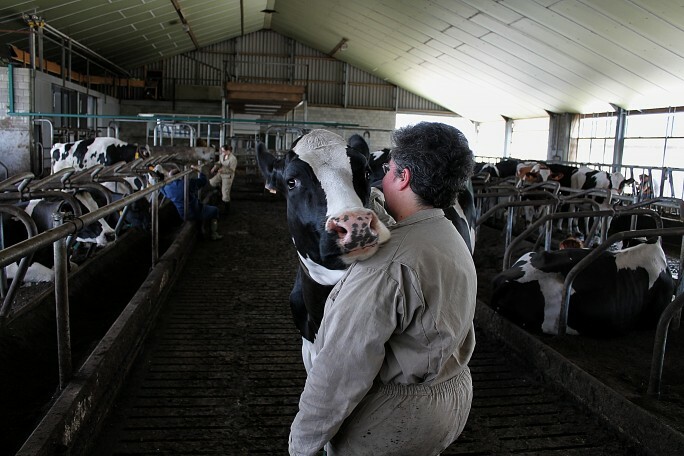 You will find a dairy farm there, where every Saturday afternoon you will be able to give cow hugging a try. Yes, hug them! But you first get a tour on the farm itself. Since stables are not the cleanest places, you put on an overall and rubber boots and then you are ready. The tour starts in the new stable, where all the cows stay. Here you get an idea of the living conditions of the animals. 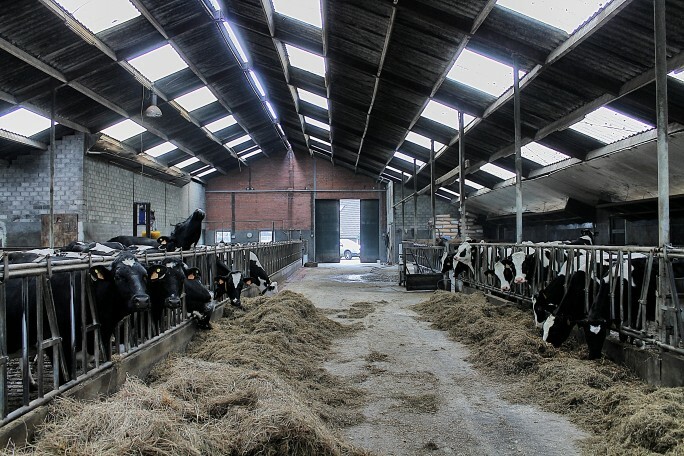 Every morning around 7.30, the cows go outside (if the weather permits it) and around noon, they come back inside and are milked for the first time. The farm uses a lot of IT; they have a milking robot, which is connected to a PC. Moreover, each cow has an electronic device on its ankle, which sends information to the PC. All this enables the farmers to keep track of all the cows. 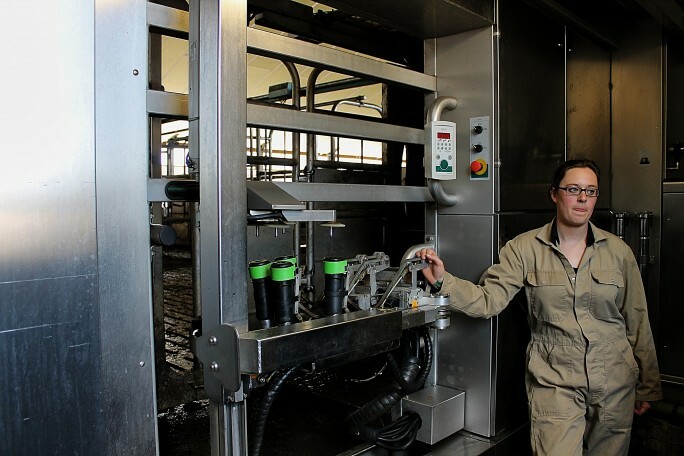 When one of them produces less milk than usual – because of illness or simply because the animal went away from the robot too early, the PC will send a text message to the mobile phone of the farmers, who can then check what exactly went wrong. After the milking the cows get something special to eat. Afterwards they have the choice to either stay in the stable or to go outside again. In the evening they are milked again. There are actually cows who understand the system and try to beat it! 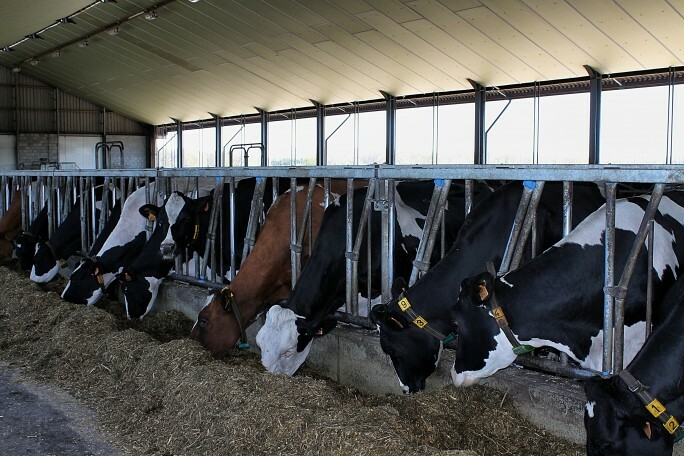 In other words, they try to be milked more than two times a day in order to get more food. But the ankle device prohibits them from doing so. When the PC “sees” that a cows has been recently milked, it will deactivate the milking robot. There is a separate corner in this stable for the cows who have just calved. The ones that are going to calve soon are put in the old stable, where they are separated from the bulls. The number of bulls is quite limited and before you think that they have a good with the 200 cows, we have to disappoint you. Everything happens via artificial insemination! The calves themselves finally are in another stable. And it is here that you get a first taste of the cow hugging. Calves tend to be very curious; as long as you don’t make any sudden movements, they will come to you. It all felt a bit like fooling around with a very tall dog! In general cows are more afraid of you than you are of them. Stay calm and relaxed. Animals sense fear and will not cooperate. Only hug cows that are lying down. The ones who are walking around are not in the mood to be hugged. Approach a cow from the front. If the ears of the cow are pointed backwards, it means that she is relaxed. When you approach her and touch her, and the ears are still pointed backwards, you are ready to go. It’s all about taking your time. When you come near a cow, you are actually invading her space. Touch her between the eyes or on the nose. If she is still relaxed, sit next to her and continue to caress her. They like to be touched behind their ears and on the back. Slowly sit very close to her and keep on caressing her. And then comes the magical moment when you lie on her belly, relax and caress her. If you are very lucky, the cow will hug you back! My fiancé and I tried different cows and it worked! 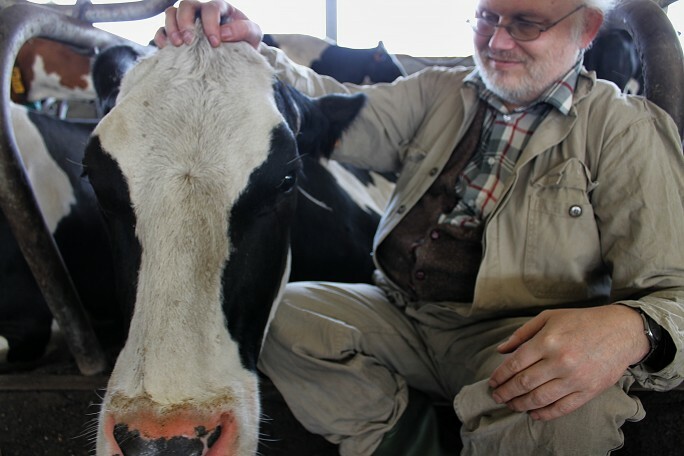 It was quite magical: you feel the cow breathing and you feel how soft and warm her skin is. We felt relaxed and had fun. But the biggest treat was still to come. In a quite unexpected way. We had discovered this cow hugging via a television program. Kathleen had used cow number 36 for this event and everything had proceeded very well. Nevertheless, Kathleen described number 36 as being a bit naughty. She likes hugging, but there is one thing she likes even more: exploring the content of your pockets and grabbing what is inside. After my cow hugging, I suddenly found myself face-to-face with number 36. She looked at me and I looked at her. I decided to wait and see what she was going to do. And yes, she went straight for my pockets, but she didn’t find anything. I thought she was going to leave me alone and look for another victim, but she decided to have some fun with me. And that is a bit daunting: a cow weighs between 650 – 700 kilos! So when she started rubbing her head against my body, I found it a bit difficult at first to keep my balance, but I very soon got used to it. We asked Kathleen how old these cows actually get. We were surprised to hear that they die at the age of 5. When their time has come, the farmers send them to a slaughterhouse and afterwards their meat is turned into dog food. Anyway, would we do this again? Sure! And I hope that cow number 36 recognizes me. 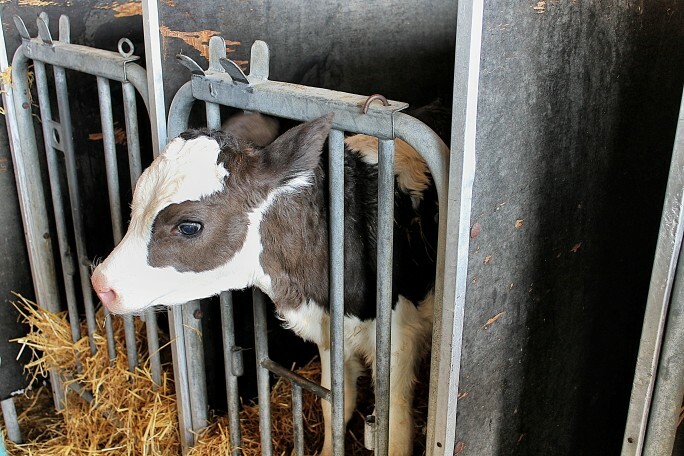 Cows can live up to 20 years but they are often sent to be slaughtered around age 5 when their milk production decreases. Sadly, that’s what they meant when they said they lived around 5 years.